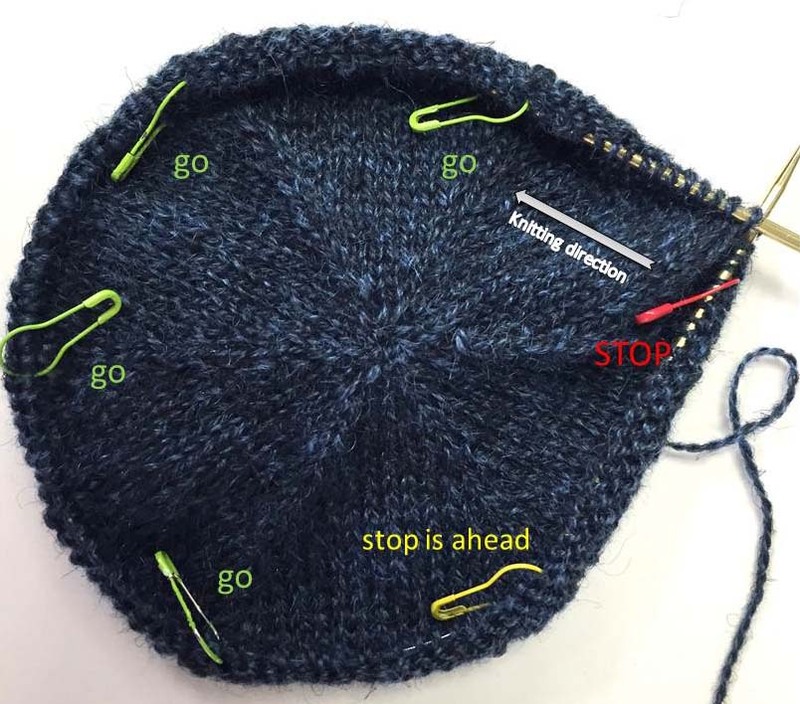 When it comes to my knitting I want to use all the hints and techniques I know of to make the project easier and more enjoyable. Lately I've been working on two projects involving hexagons. One is the Talavera Dreams afghan and the other is my second Travel Afghan that I call And The Road Goes On Forever. Both involve making a number of hexagons, working in the round and then grafting the live stitches from each side of the last round to the next hexagon using the Kitchener stitch. I found some colorful markers to help me remember when to increase at each corner, when I'm getting close to the end and when I'm at the end of the round. You can use any markers that you like. I prefer the coil-less bulb end markers in red, yellow and green - as in traffic lights. I don't remember where I found them but an online search may help. The green marker tells me that I'm at the corner where I need to do my increases and then I can keep on going. Yellow is a caution that I'm getting close to the end of the round. Red....I'm at the end of the round.